The website is being upgraded through January/February 2012. Apologies for some unavailable pages and functions. 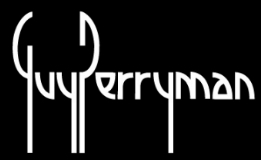 To register your Guy Perryman Black Card – please email guy@guyperryman.com – write your name and Black Card number and you’re on your way to VIP experiences!! British rock photographer Lawrence Watson has had unprecedented access to legends in the world of music including Noel Gallagher. 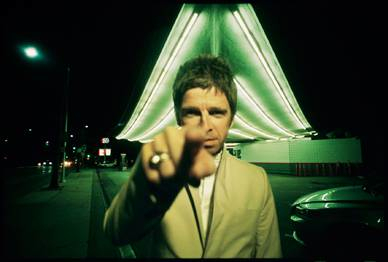 The first time to see these photos in Japan the exhibition coincides with Noel Gallagher’s High Flying Birds Japan tour. Limited edition prints will be available for sale. Win a PAIR of tickets to London flying Virgin Atlantic Airways!! Limited edition Noel Gallagher T-shirts designed by R.Newbold!! The Guy Perryman Black Card is your passport to leading edge culture. Membership gives you priority access to supersonic experiences, products & services – the privileges first class people deserve. And of course your Black Card will look fabulous in your wallet!! The concept of the Black Card is very personal – you can only receive it directly from me – usually at events. The idea is to build a “real world” not virtual community network. You can also receive your Black Card directly from me through the post. 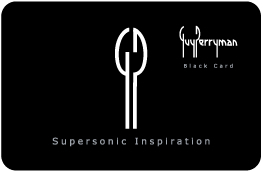 Send an email to membership@guyperryman.com – write your full name & postal address and I’ll send your Black Card. I’m very much looking foreward to introducing you to some truly inspirational concepts!! You are currently browsing the GUY PERRYMAN blog archives for January, 2012.